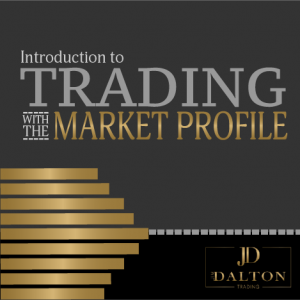 Introducing our new e-Course: Introduction to Trading with the Market Profile. There’s nothing linear about trading; it’s never about the undeviating progression from point A to point B. Trading is inherently an act of creative problem solving. It’s about emotions — yours and your competitors’ — as you make decisions based on an ever-surging tidal wave of information. Successful trading is about creating the most simple, coherent, emotion-free story you can construct out of the only objective indicators the market provides, revealed in the objective visualization tool of The Market Profile. The first few lessons of this comprehensive over 10 hour e-Course will teach you Profile basics, which is as “linear” as we’ll get. 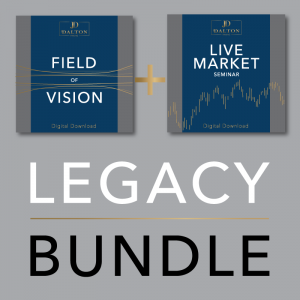 From there, we’ll narrate a variety of real trading days, so you can begin to recognize how the pieces fit together, which will help you identify configurations like inside, rotational, trend, and hybrid days. We’ll also introduce you to “chunking,” a proven way to recognize opportunities faster. Chunking is what enables you to back your car out of your garage, walk down stairs, and read a map without having to think about it. In addition to ongoing commentary and discussion, there are quiz questions so you can measure and record your progress. 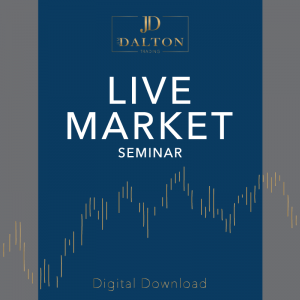 Our non-linear journey together is all about being present with the market as it unfolds in real time, free (or as free as possible) from your fears, desires, and preconceived notions. The Market Profile is a powerful tool for helping savvy traders focus on the information that matters. Each story we discuss — the real-time story of a day’s activity — provides you with vital insights about how you deal with emotional stress, and how quickly you’ll be able to respond to opportunities as they arise. I’m looking forward to exploring the exciting realm of real-time trading with you. 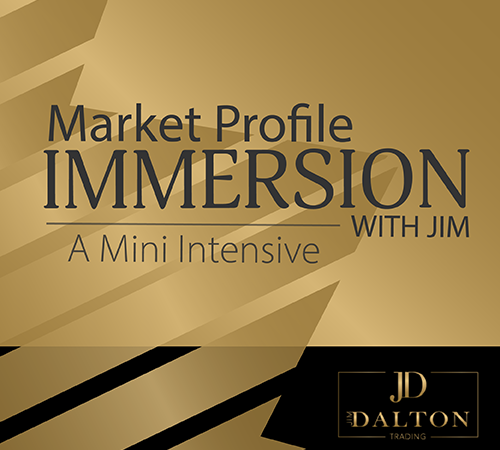 Learn Jim Dalton's top down-bottom’s-up approach in our best-selling, foundational program! Ever wondered what our intensives are like? Have you been curious, but not sure if you wanted to commit to taking a full intensive?